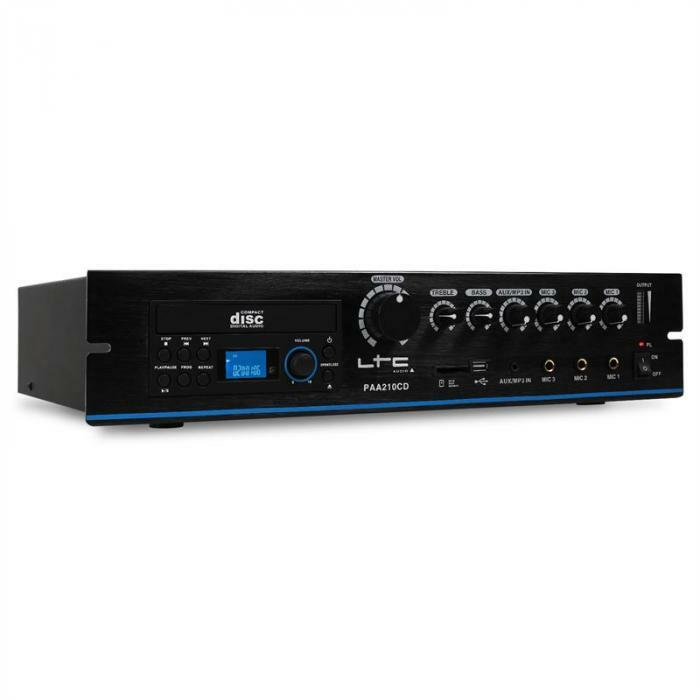 The LTC PAA210CD is the perfectly designed combination of a PA amplifier and a DVD entertainment centre. 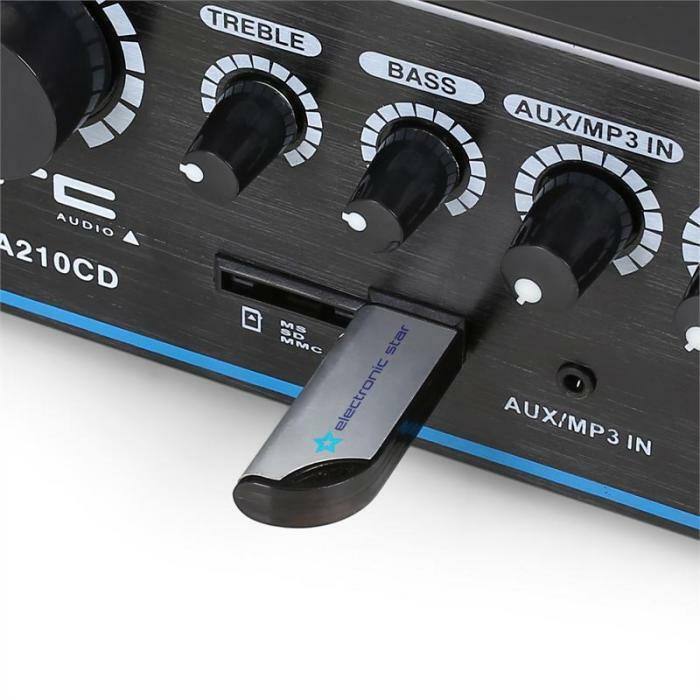 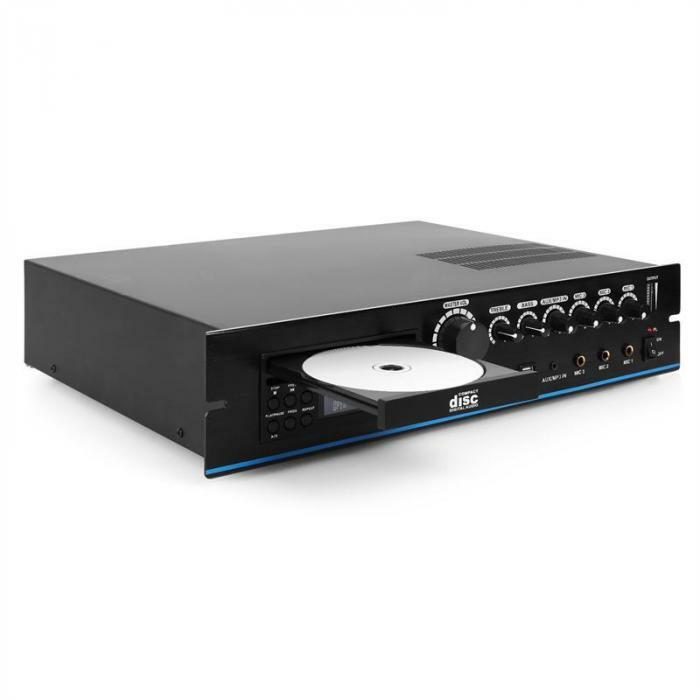 Aside from the format-friendly DVD player, the device has a USB input, an SD card slot and an accessible front AUX input for connecting all kinds of mobile audio equipment. 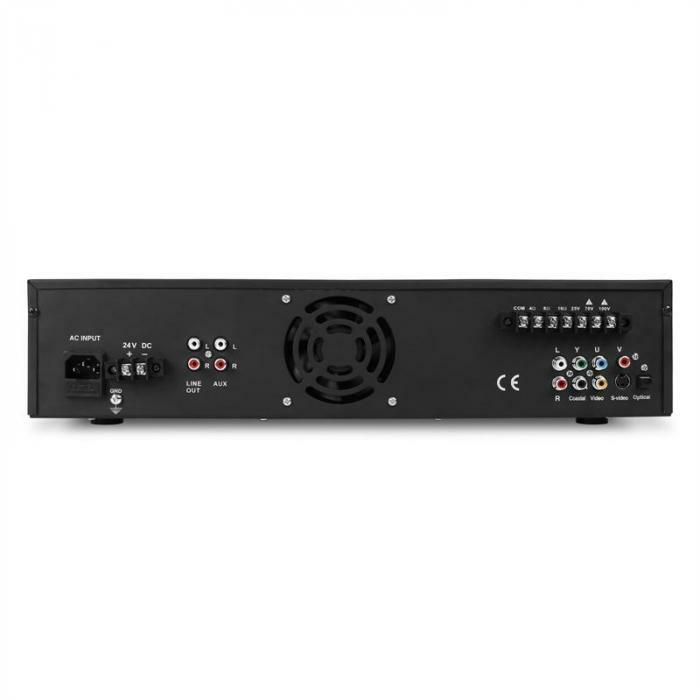 The three front mounted and separately adjustable microphone inputs allow the PA to be used for speeches, promotions and singing events. 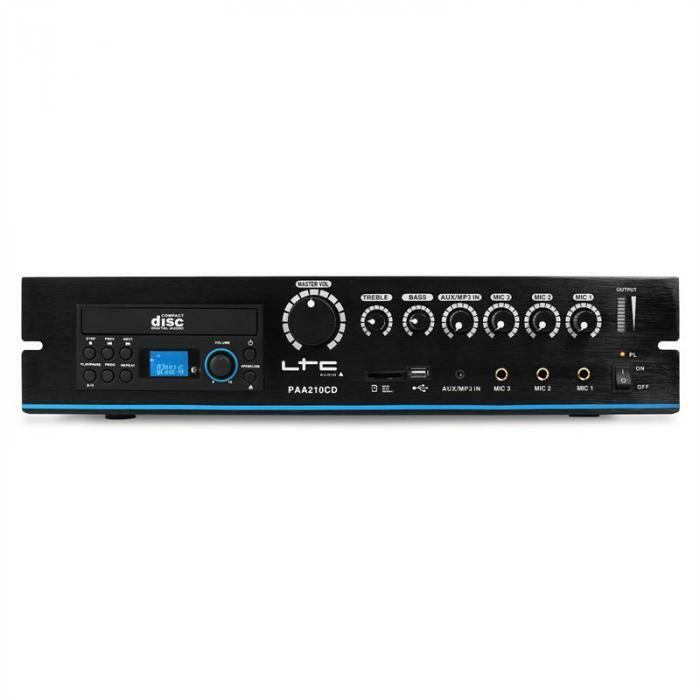 In terms of outputs, the LTC unit is perfectly suited to various PA and HiFi setups and even boasts high-quality audio/video outputs. 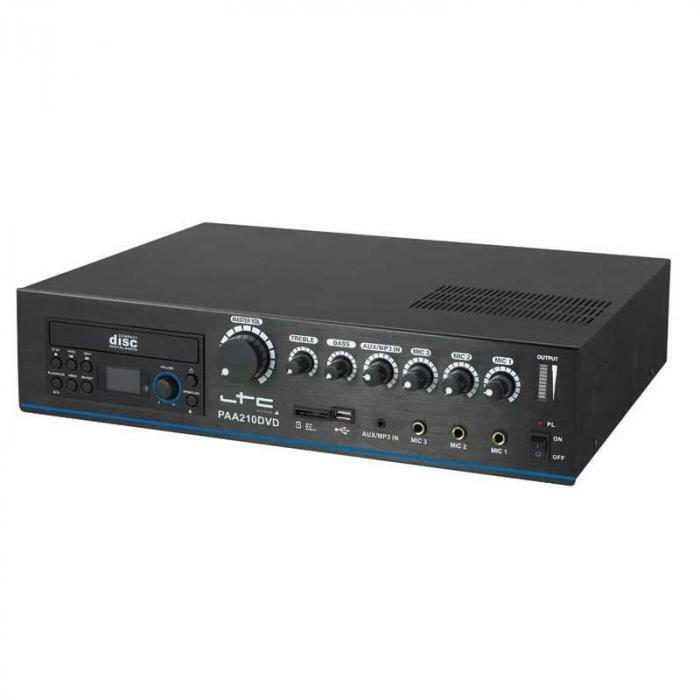 The wide ranging functionality of the amplifier makes it particularly interesting to commercial clients, especially those who regularly host audio/visual events such as trade shows, presentations or conferences. 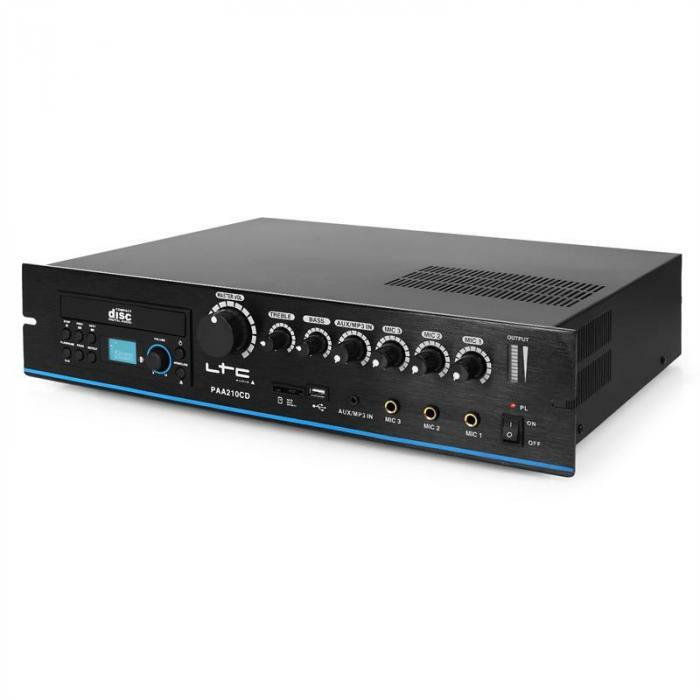 The LTC PAA210CD is suitable for a 19" rack.